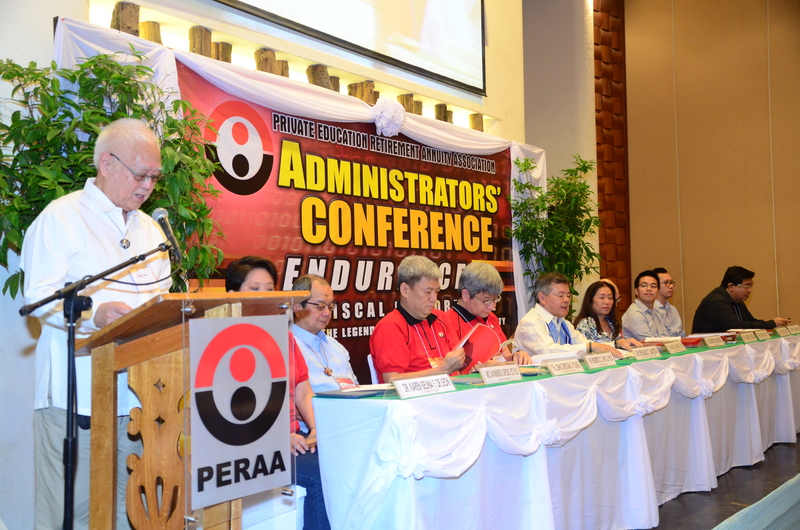 PERAA marked its 42nd year of service to private education and the nation last October 17, 2014 at the Legend Palawan Hotel Puerto Princesa City. Pres. Bernadette M. Nepomuceno reported on the result of PERAA operations for the fiscal year ending April 30, 2014. Updates on PERAA Investments were give by the treasurer, re-electionist, Dr. Vicente K. Fabella. The proceedings were chaired by Fr. Antonio S. Samson, S.J., the 10 th PERAA Chairman and currently Trustee from Visayas. For the fiscal year ending April 30, 2014, the Board declared a 1.06% rate of return on investments (ROI) bringing the 42-year average ROI to 12.87%, net of tax and expenses. The theme of the celebration had spoken of PERAA's 42-year Endurance beyond Fiscal Performance, not only to grow members' fund as safely as possible but also to enhance its services. In 2014, PERAA Board has approved the enhancement of the MPL program. As in the past years, PERAA has always been inspired by the affirmation and confidence of the community it serves. The anniversary celebration started with the Administrators' Conference focused on the K to 12 Program for full implementation in 2016. The panel was led by our resource speakers Mr. Elvin Ivan Y. Uy, K to 12 Program Coordinator of the Dept. of Education (DepEd), Dr. Ben S. Malayang III, Trustee-at-Large and Silliman University President and Mr. Jopat Lelay from the IT & Business Process Assn. Phils. (IBPAP). The conference was emceed by Dr. Patricia Bustos-Lagunda, Trustee from Luzon. 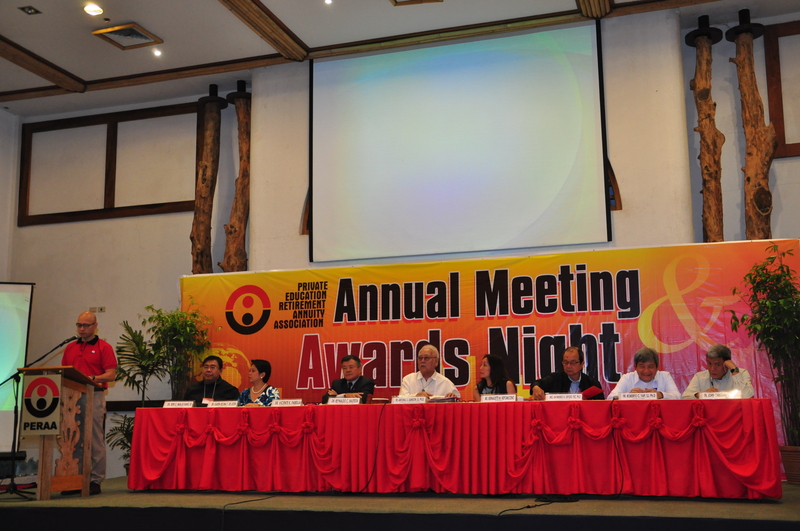 Moreover, The Outstanding Participating Institutions (OPI) and the Outstanding PERAA Members (TOPM) were announced during the Annual Meeting. Also, the Board recognized the honorary institutional and individual awardees for reaching certain levels in accumulated value. The emcees and entertainers were provided by Holy Trinity University of Puerto Princesa under Sr. Mercedes R. Lalisan OP, president.